Mystic Musings: The Power of Words To Transform Your Life! Words have power. What you call someone or something influences your experience, and can even influence them. We project energy and we receive energy from our surroundings. It’s pretty obvious when you’re trudging around with negative thoughts, criticizing whatever you seen. You’re living in your own world of doom and gloom. Positive thinking works. Shifting your wording can shift your energetic experience. On a more complex level, the words and terms your use carry historic patterns. There are words that use to be acceptable that we no longer use because they’re now offensive. 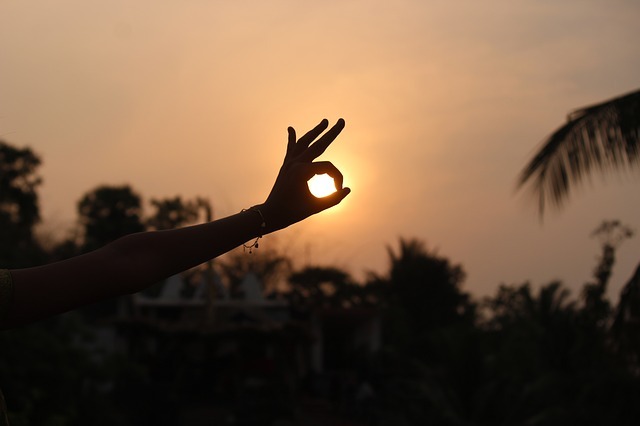 We’ve become more mindful of our language. In 1981, I was the Church secretary for a United Methodist Church. The female pastor would have me retype the hymns to use non sexist terms for God. For many years it didn’t bother me to call God “He”. I grew up in a male dominated family, I felt I could hold my own around the term. But God as “Father” affected my spiritual experience. Father did not have my best interest at heart. It was not a benevolent universe. Some people simply refer to God as “She”, and that brings in a different feeling. And yet that may not work for folks with mother issues. Early on, I began calling it Universe because it didn’t have a gender. And made for a friendlier relationship with it. “Hey U” I’d say, having conversations rather than prayers. But all of this was still outside myself. Something other than me. Although I knew I was Spirit there still was a hierarchy and Universe was outside and above. At some point I realized I needed a new name, and Consciousness was what it felt like. When I use the term Consciousness, it feels expansive, it’s both me, within me, and all that is, externally. For me, Consciousness has no other references. But many others think it just means “awareness”. 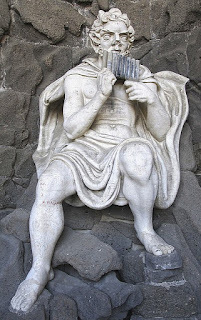 Or Cosmic Consciousness, which to me has a historical connotation, from my early Mystery School training. Now Awareness could be used instead of Consciousness and evoke the same feeling. For a while I’d used the term Essence, as in the Essence of who you are. Essence for me is internal. Consciousness encompasses all. When I am identifying as Consciousness and navigating as Consciousness in my life, things reorganize in my favor. I feel lighthearted, amused, curious, excited, in love with life, in love with my ‘self’, in love with the world. Notice for yourself if the terms you use need upgrading. Do they feel light and expansive and full of possibility? If not, simply trying out a different word can transform your entire life! Catch our SHOW on YOUTUBE! Today on Conscious Conversations, Joan and Janet talk about Being Gentle With Ourselves In Times of Change. We’re in the midst of a huge Consciousness Shift. People are going through enormous upheavals as we’re in the middle of 3 eclipses, and in some ways completely reinventing themselves. Join us to learn how to be easy with yourself as you go through your own transformation. Would you like my personal help to transform your life? Honestly, one-on-one coaching is the most powerful and life-changing thing you can do. There is a huge collective growth shift happening and people are feeling it big time in their own lives. I’m freeing up time in my schedule for a select few people; this is a rare opportunity for short term private coaching with me. Tailor made for just for you! We can focus on the core things you want to transform, to manifest whatever you want to create. This is both Live coaching with me AND select video trainings. This is a very potent time, take advantage of it to break through to a whole new level! Email [email protected] for more! You are not alone! Unseen support is available to help you transform your life, health, and business! Learn to effortlessly connect and receive communication from your ‘invisible friends’! Additional bonus: If you’ve worked with guides, guardian angels, spirit guides in the past, receive an ‘upgrade’ for more effective interaction in today’s higher frequencies! 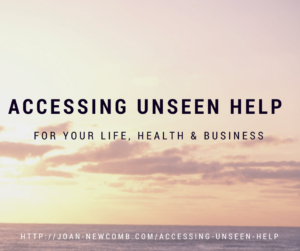 Unseen Help can help YOU in any area you want or need! phone in to get a reading from her on the air and for a new online course! Rev. Joan M. Newcomb, CPC is an international Conscious Mastery Coach, Energy Teacher, & Radio Show Host. She’s helped people access the power of their own Inner Wisdom for 30+ yrs. Every couple of years (or faster, it seems nowadays), I go through a consciousness shift, and my techniques go through an “upgrade”. I struggle for a bit, as old ways stop working, until I relax into whatever the new “operating system” appears to be. Recently, I was on a conference call for a marketing course I’ve been taking, led by Robert Scheinfeld who is the author of “Busting Loose From The Money Game”. When I asked him a question on being frustrated with an aspect of my business, he suggested that I talk to my guides about it. Then I realized, I communicate with the unseen all the time, I just don’t slow down enough to put it on paper. What would it be like if I tried “staff meetings” again with the deva of my business? Would it even work? I decided to try a coning, which is an energy configuration that I used for many years, with great success. 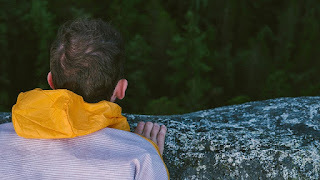 It starts by focusing as Consciousness and connecting with the deva of my business (I actually have several businesses, but in this case I just chose an overarching Deva, without specifically defining what it was). And then connecting with Pan as a representative of Nature, the aspect of bringing the devic information into form. And I connect with my ‘team’ which can be any number of unseen helpers (this time I asked for tech help, publicity, copywriting, and some others). It was really interesting. I never really paid attention to Pan but in this case I got a *very* strong energetic perception of a big, barrel chested and full bearded, seemingly male presence, who *really* wanted me to open a bottle of wine and have some fun. I moved on to brief communication with the Deva and the team, basically me requesting inspiration and information. It ended fairly quickly. I don’t even remember what I wrote. It’s on my iPad somewhere. But right after that I got a call from a client from nearly 10 years ago requesting an hour long energy healing. I stopped doing them a while ago as my focus has shifted to teaching people to transforming themselves. I’ve also stopped doing hour long calls, when my rates went up. 30 minute calls deliver the same amount of transformation more efficiently. But, what the heck, so I did it. Including that session, I unexpectedly earned nearly $1000 in the week after I did that first coning. I’ve had a couple “staff meetings” since then, really disappointed that I’m not sensing Pan the way I originally felt. They’re very brief, and I don’t really recall anything hugely inspirational coming from them. 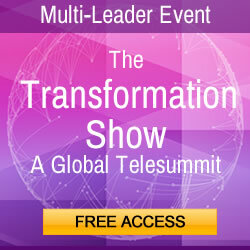 And then, out of the blue, I got an email inviting me to a telesummit at the end of May. Sure, why not, I thought, I can recycle the offer I used for a telesummit I did last year. But it turns out this telesummit is focusing on Health, Miraculous Healings and Prevention of Diseases, a completely different topic. Hmm. So then I give the woman in charge who will be interviewing me a sample session and chat briefly about a possible product. And while we talked, something clicked that what I’m offering will be seeds for the next level of my online courses. See, I’ve been offering the same course for the last two years, primarily as a private coaching package and sometimes to small groups. But I’ve been so busy that when people complete, I haven’t been able to give them something beyond that beginner course. 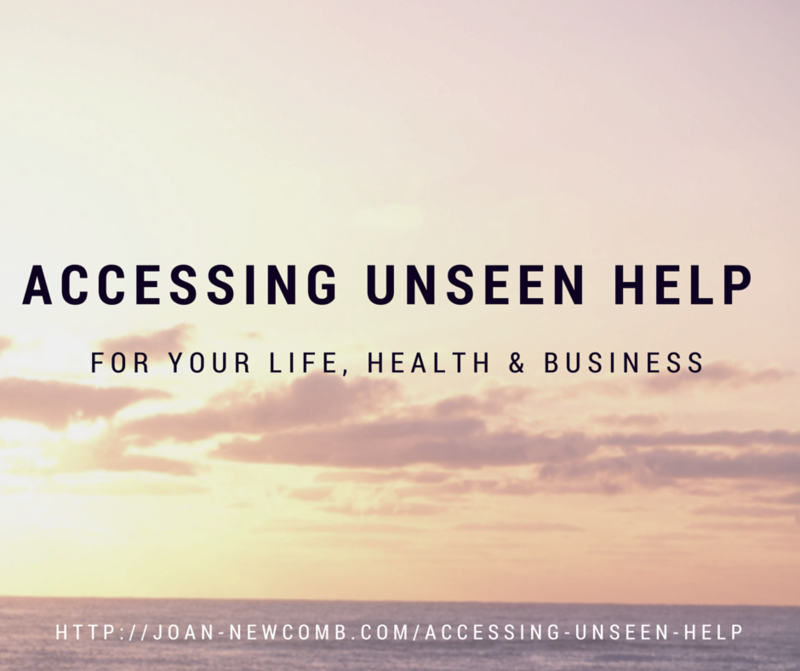 And here’s the thing – it’s going to be an upgraded version of Accessing Unseen Help in your Life, Health and Business. So now I’m really excited, busily producing the content for the Telesummit, which will be at a *radically discounted* rate from what the final investment for the full course will be. Stay tuned for details. And yesterday it hit me. Accessing Unseen Help arose the moment I started doing these staff meetings again. Those guys are so crafty. Someone said to me that an obstacle is just something requiring more light. It reminds me of trying to go to the bathroom in the middle of the night. We stumble over our shoes and run into open drawers. When there’s enough light, we can see our way without hurting ourselves. When there’s enough light, obstacles don’t seem so big or impossible. They remind us to put our shoes away and close drawers. Shining light on obstacles can reshape them into stepping stones instead. Perhaps the stumbling blocks at work are directing you towards a different career. Why on earth would we cling to an obstacle, instead of letting it go? Because it feels familiar. We’ll stay crouched behind it, no matter how uncomfortable we are, not daring to peer beyond. It’s scary out there! Or, we may be afraid of moving past the obstacle because we imagine everything else in our lives that we value may get lost in the process. Obstacles aren’t always something to destroy. In relationships, perhaps they’re an opportunity to become more honest, to go deeper and expand emotionally. In order to overcome our obstacles we need to shine light on them, to see them clearly for what they are. If you view this life as a full immersion virtual reality game, you can see obstacles as temporary setbacks that lead to more awareness. The process of changing them shifts you to a new level of Consciousness. Nothing is ever truly stuck, and no obstacle is insurmountable. Some may have kept you paralyzed for years, some may be truly overwhelming. But the world is full of stories of people overcoming incredible odds, healing from fatal illnesses, rebuilding their lives after losing everything. This is a realm of stories. When you can lean into the obstacle, shine the light of Presence upon it, the story changes. But it’s how you view this amusement park of experiences that helps you transmute it. If you see yourself as just a character, then you’ll feel at the mercy of other things. You’ll have a limited amount of choices to make changes. In trying to be the writer of your story, you’ll have limited success. You can bring changes through the realm of thoughts but there will always be glitches or loopholes due to all the unconscious thoughts we have. If you view yourself as the director, you’ll feel more in charge, but you’ll also want to control the scenery and other actors. When you realize that you are the Consciousness that is creating all of this, reality begins to reorganize. There’s no need to change, fix, or manipulate the storyline. Obstacles become something to delight in, fun challenges to play with. As Consciousness, you *are* the light that is shining in the world. You bring your Presence into everything. Shine your own Light on obstacles, and watch them magically transform. Mystic Minute YouTube Video: How To Resolve Your Inner Climate Change! Today on Conscious Conversations , Joan talks with Cameron Steele about Consciousness Transformation. Cameron is the owner of Contact Talk Radio and Clear Conscious Media. Cameron is a natural intuitive, besides being the manpower behind Contact Talk Radio (his wife, Lucia Steele is the womanpower). Their website is www.ctrnetwork.com We’re in a new year and collectively breaking through to a new level of Consciousness, which is creating a huge amount of transformation in the world today. Tune in to hear Joan and Cameron share their insights on how to navigate this with grace and ease. Mystic Minute: Accessing Unseen Help (Updated Info)!